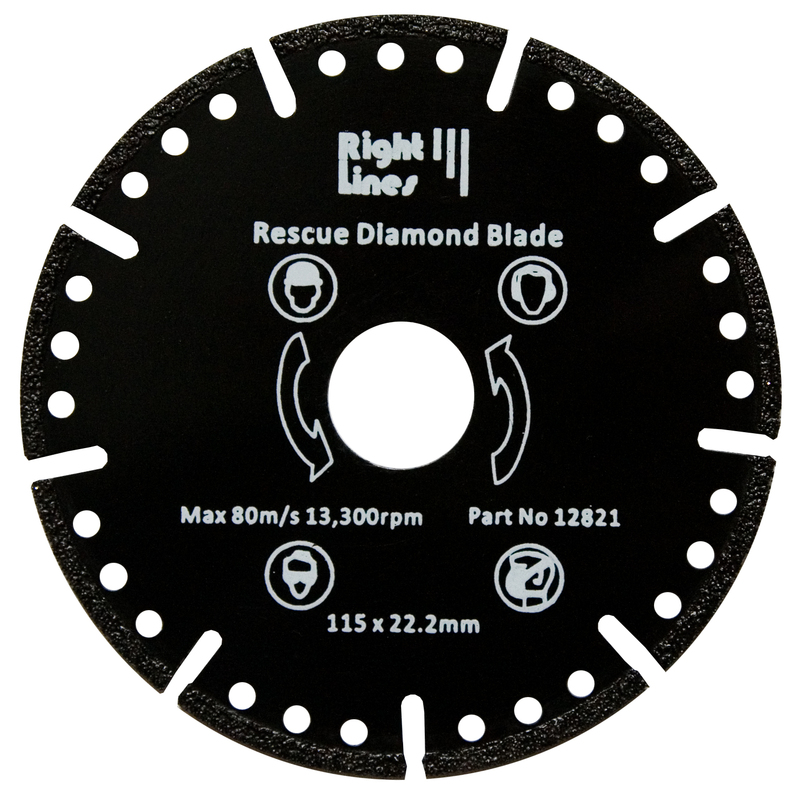 Applications: Rescue blades cut almost anything, hence their popularity in rescue situations, but they also have much wider use. Materials they cut include masonry, brick, concrete, steel, fibreglass, wood with nails, cable, composites and almost anything you would wish to cut on a construction site. 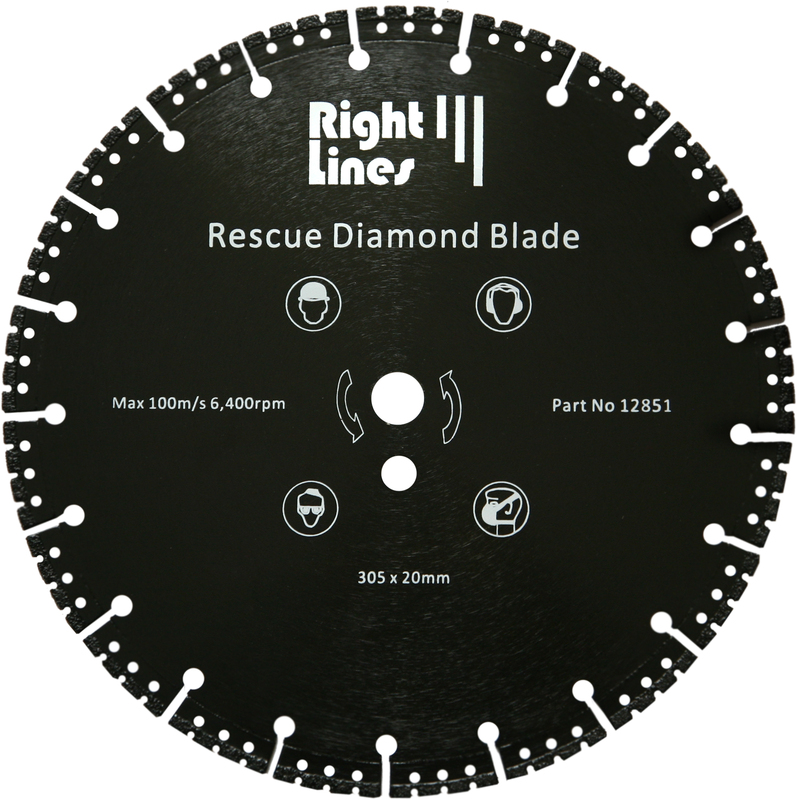 This makes rescue blades ideal for contractors, plumbers, electricians, demolition engineers, scrap merchants, recycling companies and most people with something to cut. Designed for angle grinders and petrol saws. Just added is the new 75mm size for die-grinders. 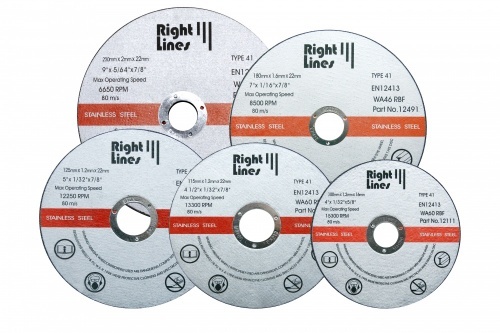 These will outlast approx 50 of the standard thin slitting discs, with minimal change in diameter. There is an option for an arbour to suit this item. Externally bonded super abrasive diamond. 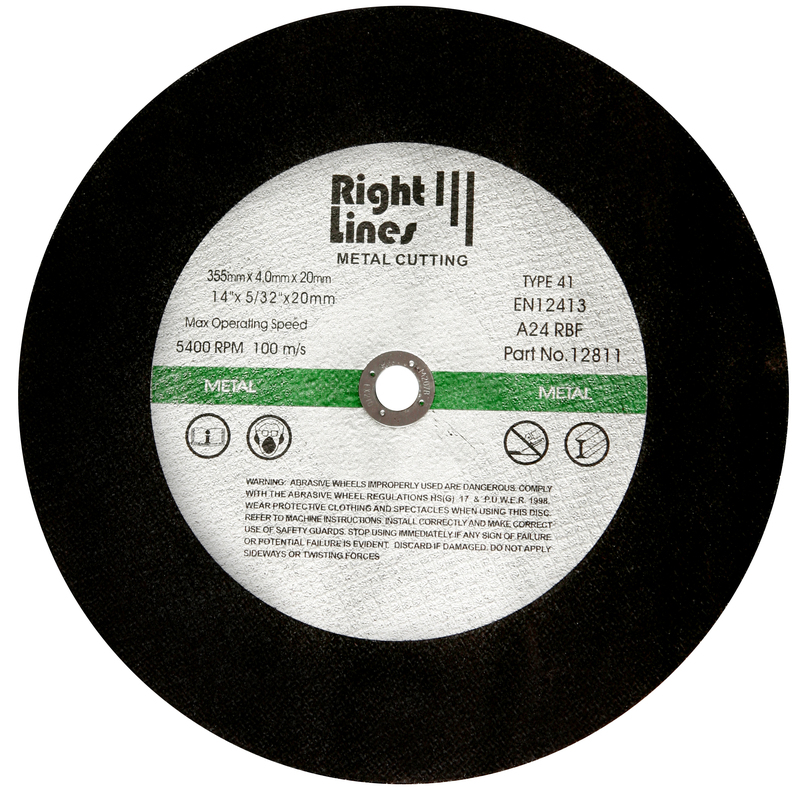 75mm size has standard 3/8in (9.6mm) bore for use on die grinders. 115 - 230mm suitable for angle grinders. 300mm suits most petrol saws. Mounting arbour available for 75mm wheel has 6mm spindle. 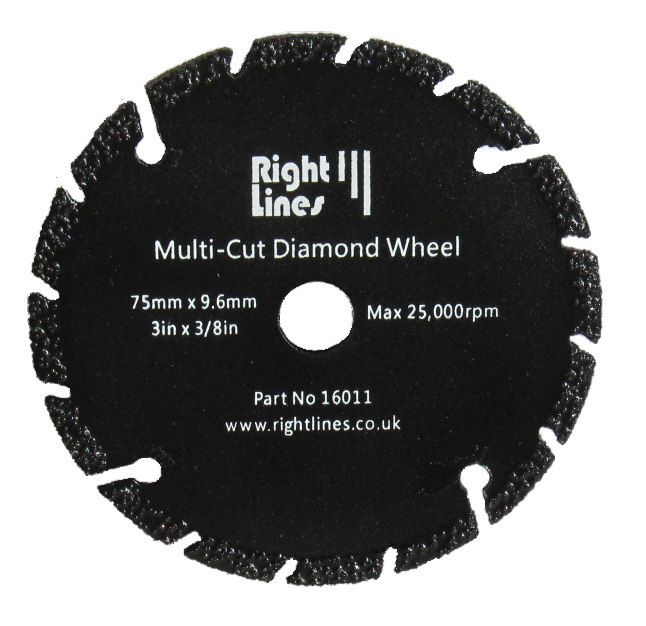 These metal cutting wheels were specially developed for the latest generation of high speed hand held petrol saws such as made by Stihl and Husqvarna. 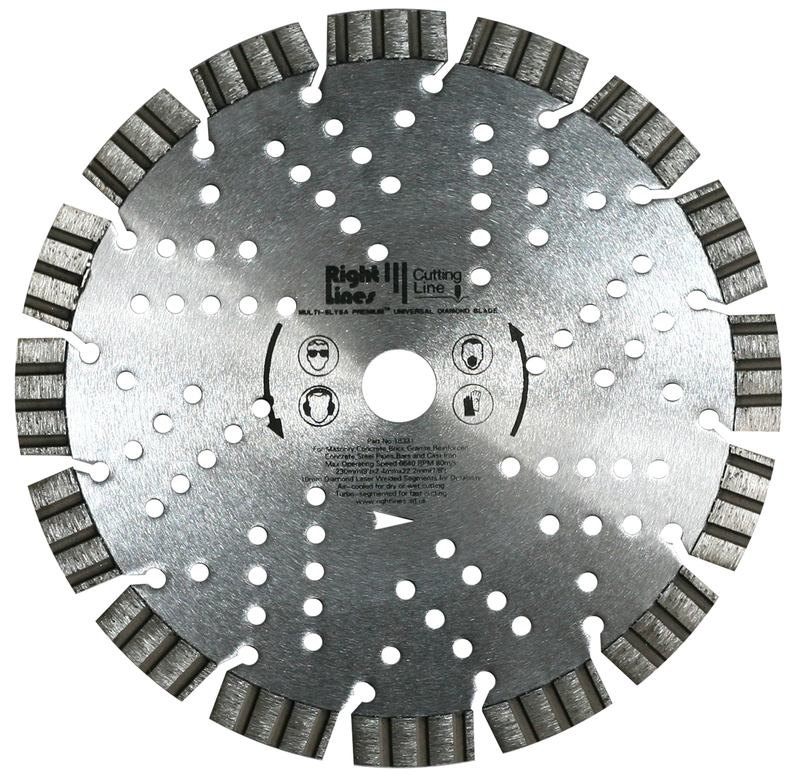 Our thin metal cutting discs are highly popular for their speed of cut and life. Thin discs cut faster, waste less and produce less heat. Suitable for all steel grades for mild to stainless steel alloys.